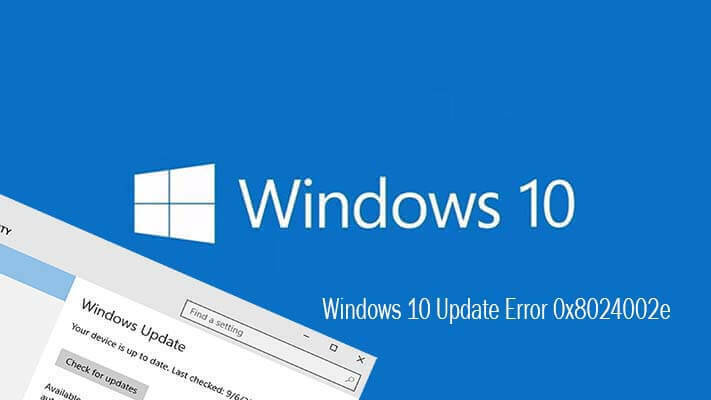 [Solved] How to Fix Windows 10 Update Error Code 0x8024002e? Lots of the Windows updates are released by the Microsoft to get rid of Windows 10 bugs and other incompatibility issues. 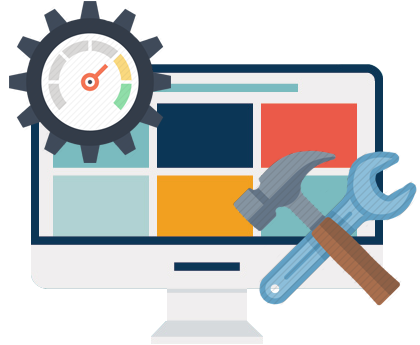 If you are suffering from any kind of issue or error message while downloading or installing the available update then don’t worry as you can easily fix this problem. In this blog, we will discuss a specific error 0x8024002e. This error code appears when user try to check for any available updates OR when user try to run Windows Update Service then an error message generated that block this service from running. This error code describes that the Windows update service which helps us to check for any latest updates has been Blocked or is not Running/Working. In order to solve this, you have to find out if any other installed apps are blocking it. Update your system drivers in order to solve this issue, take the help of a professional driver updater tool and fix this error code. Step 2: Click on the Services Tab -> find “Open Services” present at the bottom of the Window. Step 3: A new Window will appear, now scroll down and double click on “Windows Update” option from the list. Property Windows will appear. Step 4: Choose Automatic for Startup type as shown in Below image. Click on Apply, Start and then Ok. Step 5: Restart your system. After it, verify that the applied steps are working or not. Go to windows update and check for updates and see if you are still getting the Error or not. Step 1: Go to the Windows Search option and search for the Troubleshooting. 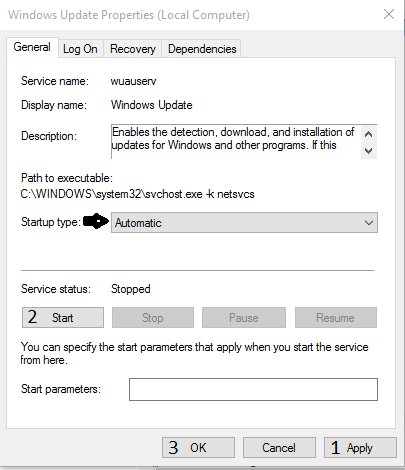 Step 3: After it, click on the Windows update and click on the YES to run the troubleshooter. Step 1: First you have to open the command prompt with admin permission, to do this you have to press Win key + X at the same time and choose Command Prompt (Admin). Step 2: Now, you have to disable the BITS, Cryptographic, MSI Installer, and the Windows Update Services one by one. At last, exit from the Command Prompt window and restart your PC. Step 1: Open the Command prompt with admin permission, to do this press the Win key + X at the same time and choose Command Prompt (Admin). Step 2: Type the sfc /scannow and press the Enter. Step 3: The sfc /scannow command will scan all the system files and replace the damaged files with a cached copy. Trick 5: Disable Antivirus Program. If your computer or laptop has any antivirus program then disable it and see if that helps. Sometime antivirus application may block the update service and you will face this kind of issue., so it is recommended that uninstall or disable the installed antivirus or any other computer security program in order to solve this issue. But without antivirus program your system is unprotected, so after checking for updates and installing them again install or enable the antivirus program. It is hoped that your system is now updated and error-free. 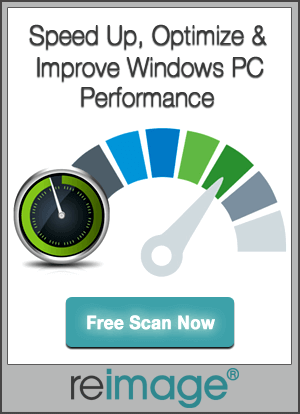 It is suggested to run a free system scan using PC Error Repair Tool. Download, install and run this tool on your PC/Laptop, it will automatically detect all types of errors, issues present on your system and fix them immediately. This tool is very simple to use, so you don’t need any professional skill to make your system fast and error free.